It was 2012 when I first discovered the glory of cruising. 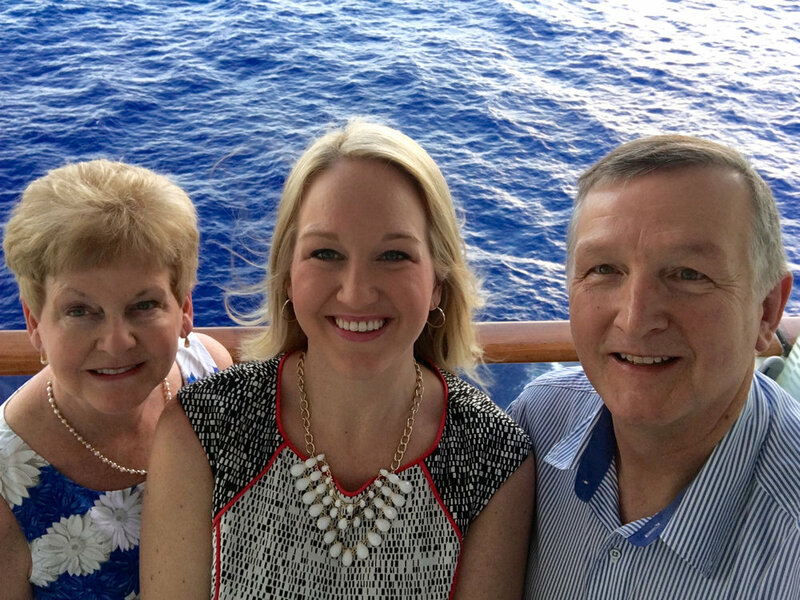 My family wanted to do a Spring Break trip together, so we researched and headed off on Royal Caribbean's Allure of the Seas (at that time, the biggest cruise ship in the world)! 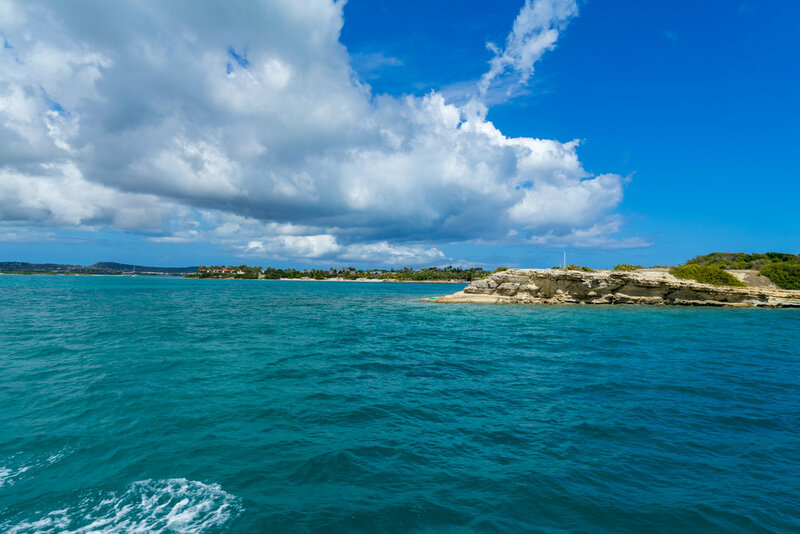 We cruised through the Eastern Caribbean and visited Nassau, St. Thomas, and St. Martin. It was a fantastic vacation and one that kicked off a lifelong love of cruising. Since that cruise in 2012, I've been fortunate enough to experience four more cruises that were all unique and equally enjoyable. In t-minus 56 days, I will board the newest and biggest ship in the world, Royal Caribbean's Symphony of the Seas for it's debut season! This upcoming trip has inspired me to a write a series of blog posts to share my love of cruising in hopes that it may inspire you to take the plunge and experience what may be your best vacation yet! You may wonder where all my excitement about cruising comes from because 1) you've had a bad cruise experience in the past or 2) you're skeptical of cruising from what you've seen/heard or 3) or you've simply never prioritized cruising as a vacation option. I hope that this post will debunk those myths that are holding you back and help you see cruising in a different light. 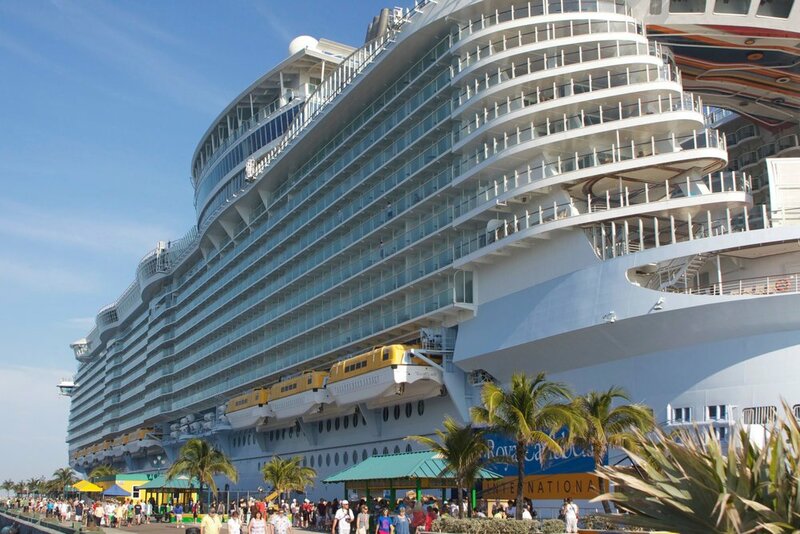 Cruise ships are crowded, confining, and can't possibly hold thousands of people comfortably. This is my favorite myth because it was one of my biggest fears early on. I do not particularly like crowds and I assumed it would impossible to not be surrounded by people at every moment (in the dining rooms, at the pool, getting on/off the ship, or simply walking around). The truth is, cruise ships are specifically designed to drive efficient movement of people and to ensure that no space ever feels crowded. The corridors, stairways, and elevators are thoughtfully located to move people through the ship. Additionally, the newest ships are taking innovation seriously and coming up with ways to make their spaces light, airy, and wide open. Specifically, Royal Caribbean has done a fantastic job adding elements that truly make the ship feel like a city on the water. The Oasis-Class ships have a park-like atrium (with real greenery and flowers), open-air theaters with wonderful views of the ocean, and my all-time favorite feature, the Solarium. 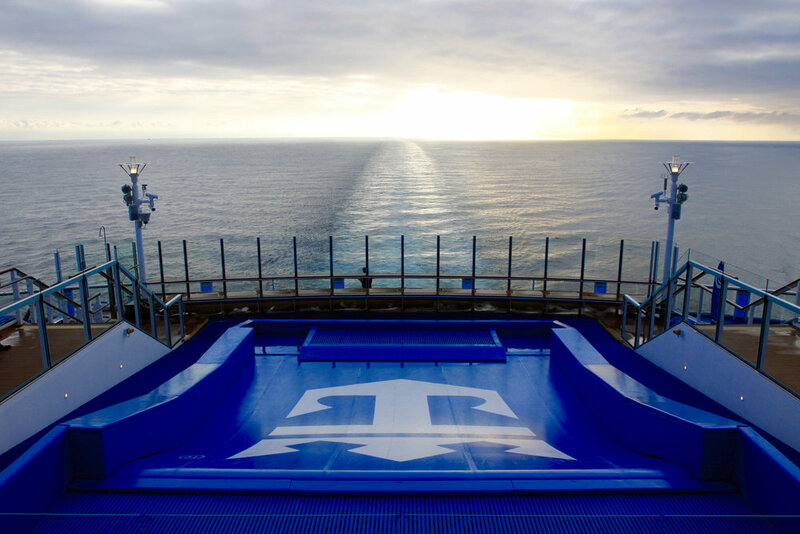 The Solarium is a spa-like, kid-free zone, perched at the front of the ship that is truly unique. It is a slice of heaven that keeps me coming back time and time again! I'm either going to get norovirus or seasick. While norovirus stories make the news every year, the total number of passengers who fall ill on cruise ship is a fraction of one percent (1). The truth is, the sanitary regulations on ships are very strict and every part of the ship is cleaned consistently. Cruise ships are in fact much cleaner than most of the public spaces we visit on a daily basis. Be prepared to use hand sanitizer before all your meals and plan to wash your hands more than normal to be safe. But all in all, cruise ships are usually completely spotless and the crew is always hard at work making the spaces clean and comfortable! Ok, so I might not get the stomach flu, but what about seasickness?? This was my second fear prior to cruising. I tend to get motion sickness, so I was a little apprehensive. I proactively use Sea Bands on all cruises for the first 1-2 days to get my body adjusted and I'll pop them on if the seas get rough during the trip. While predicting and preventing rough water on your cruise is impossible, my most important advice is to make sure you are cruising in locations during their peak season. Yes, it is more expensive, but there is a reason for that. For example, you might get a smoking deal on a cruise in the Western Caribbean in August-September, but that is the heart of hurricane season, so you will be taking your chances! Doing your research in advance and picking the right time to cruise is very important! People go on cruises to overeat bad food from mediocre buffets. Cruise lines have made significant strides in elevating their dining experiences over the last several years. In fact, cruising has now become a way to enjoy fine-dining at sea. Cruises now offer multiple restaurant choices on-board. From your morning pick-me-up at Starbucks, to your quick salad from the buffet for lunch, to a five-star dining experience for dinner...there is seriously something for everyone. While the traditional approach is to have a set dinner time every night in the main dining room, cruise lines are starting to introduce flexible dining times and specialty restaurants. My suggestion is to use the set-dining time for days you are at-sea (no excursions) and book reservations for the specialty restaurants when you have a full-day excursion or want to enjoy a later dinner. Hands-down the best dining experience I've had was at Jamie Oliver's restaurant on the Anthem of the Seas. It was so good, we went back twice during a one-week cruise! Another interesting fact is that cruise line portion sizes are actually quite small compared to America's standard restaurants. They do this to avoid wasting food, but it also can prevent you from over-eating. You can always ask for seconds of anything, but their standard portions are just perfect! And do not worry, you will be getting plenty of steps in during your cruise vacation to curb your calorie intake and there are a multitude of options for exercise on-board! I won't spend much time in my cabin, so I should book the cheapest option. I have had the chance to experience a wide variety of accommodations on cruise ships. From the sofa bed in my parents room, to staying in an interior room with no windows, to a balcony room with an obstructed view of the lifeboats, to a prime balcony room with perfect ocean views. Picking the right room is imperative! After experiencing all the different room types, I now know that mid-ship (length and height wise) is the ideal location to avoid noise or wavy conditions and balcony rooms are must. Save your pennies and splurge for a balcony -- it is worth it, I promise you! Rooms are small, but spacious and have perfectly sized closets and storage for all of your belongings. One of my favorite aspects of cruising is the ability to unpack your suitcase once and spend the next several days arriving at amazing destinations without having to exert any effort or planning! Do not get me wrong, I love vacations where you have a logistical plan to get from one place to another and enjoy planes, trains, and automobiles along the way. However, there is a great luxury in having the cruise ship be your floating hotel. It takes away the stress of packing/unpacking and puts the onus on someone else to get you where you need to be! In addition, there is great joy in opening your curtains every morning and being SO excited to see where you have arrived overnight. New ports, new sights, ocean views...just amazing! A one day excursion is not nearly enough time for me to enjoy a destination. Planning excursions is one of my favorite thing about cruises. There are so many awesome things you can do during your day on land. Cruise lines offer many options, but you are always open to researching and finding your own excursion for the day. My strategy includes doing my own research on Trip Advisor to learn what the best attractions are in the location. Since you only have one day, you need to be picky. Find the excursion that showcases the highlight(s) of the place you are visiting and pick the best option (which is usually not the cheapest or shortest by the way)! From there, I will check out what the cruise line is offering, and if I don't find anything that lines up with my research, I will book independently. Many local tour companies cater to cruise visitors, so they are familiar with the schedule and always ensure to get you back to the ship on time! Finally, if you visit a location that you feel like one day was unjustified, you can always add it back to your list for a future visits. For me, that was the island of Antigua in the Southern Caribbean. One day on a catamaran circling the gorgeous island was just not enough -- I will be back there one day to soak in the beauty for a longer duration! Well hopefully by now I've convinced you to book a cruise or at least consider it for your next vacation. SO many of my favorite vacation memories are from my past cruises. It's always an adventure! You get to see and experience so many interesting things and you come home rested and rejuvenated from the loads of fresh air. Whether you are a cruise newbie, had a bad first experience, or simply need some inspiration, reach out to me! I'd love to help plan your next dream (cruise) vacation. 2017, Jewel of the Seas doing a 360 degree turn to see the sunset in St. Lucia. The ocean is waiting ...Get Out There.